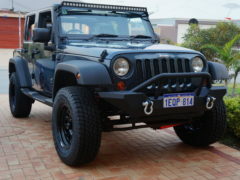 for JK Wrangler 07+ 2door and 4door models or JK8. • 1 Piece welded design Centre section including Winch Plate and Recovery tabs. • Stinger bar is 1 piece welded, but bolts on using 8 high tensile bolts. • 2 x Welded Tabs on hoop for mounting spotlights, LED Light bar, or UHF. • Black Texture Powder coated Surface. • Constructed from 6mm Cold rolled steel including Bar wings. • 2 x High strength 20mm Recovery Tabs, welded inside and outside. 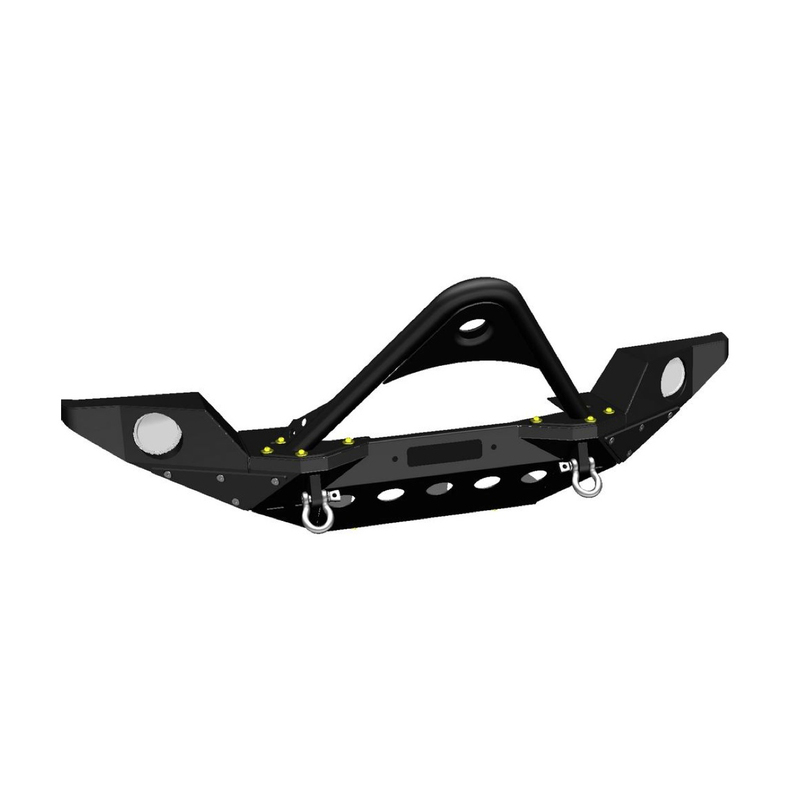 • Built in Winch Plate, Compatible with up to 12’000LB Winch including WARN POWERPLANT. • Holes for OEM Fog lights, direct bolt in. 2 x Brackets included for mounting 2” inch LED Lights in fog light location. • 2 x Recovery D Shackles included. 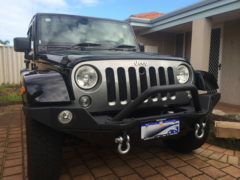 • Includes Winch delete plate if your not using a winch. • Quick installation no cutting or drilling required. • Includes all mounting hardware and Instructions. Shown in pictures fitted to vehicle with stinger hoop on and removable ends off. 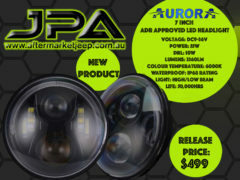 Another Excellent Quality “JPA” Product. 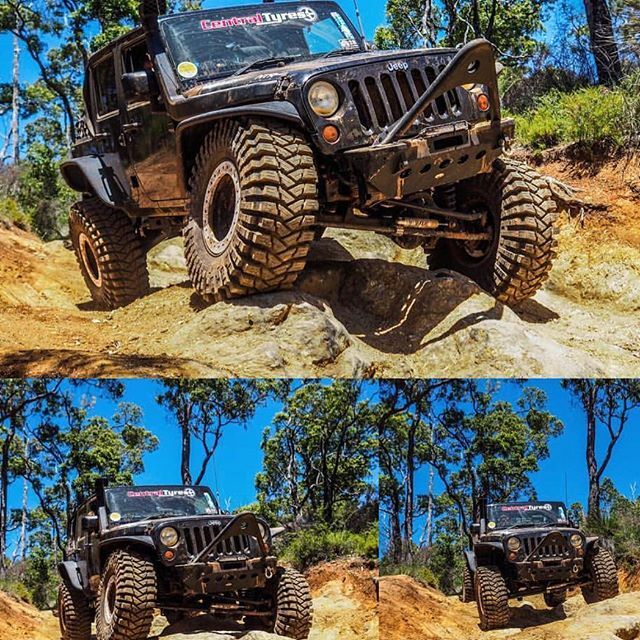 Be the first to review “JPA Steel MODULAR Stinger Bumper for Jeep JK Wrangler 07+” Click here to cancel reply.